This week was packed full of great events and grand adventures! We started off the week in Louisville, Kentucky and made our way to New Castle, Delaware. 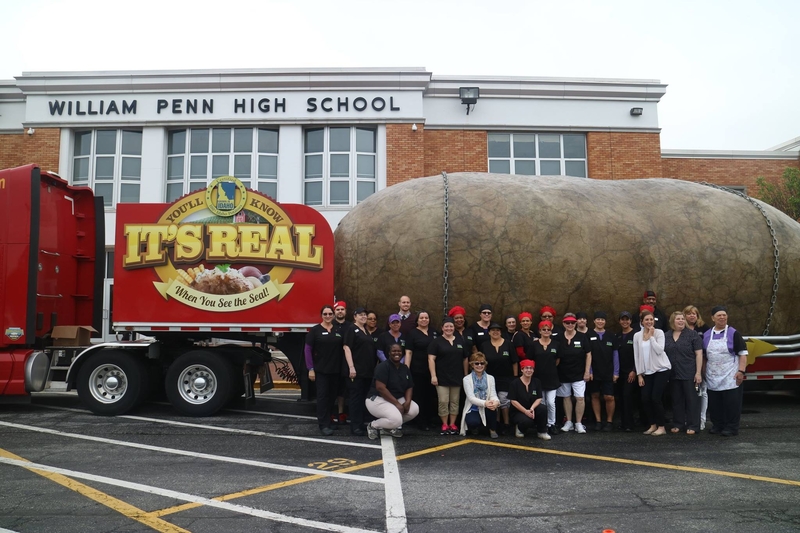 In Delaware, we visited William Penn High School for National Lunch Month. We had a signature board there to donate money to the nutritional services at the school, who provide healthy meals for the students. We placed the board in the main hall of the school for the students to sign as they went to their classes. I have to say we got more signatures than I’ve seen all tour! 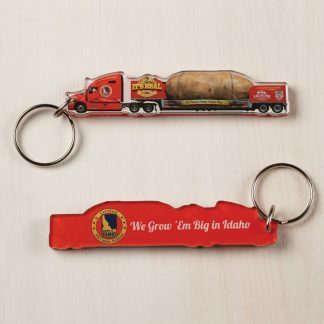 The students also had the opportunity to visit the Big Idaho Potato with their individual classes. We got to talk to them of course about potatoes, but also about setting high career goals and going for your dream. For myself, I never imagined that I could have a job that allows me to not only travel, but to give back to local communities in such a profound way. Not to mention, that I get to do all of this with an amazing team and represent our great state! It’s been such a great experience already, and I couldn’t be more grateful. It was great to be able to convey this to the students, and leave them with something bigger to think about. 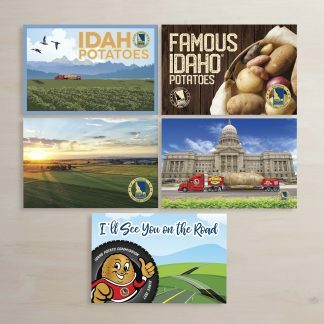 After a great visit, we ended with lunch at their Idaho baked potato bar! Delicious as always! The staff from New Castle Nutritional Services! 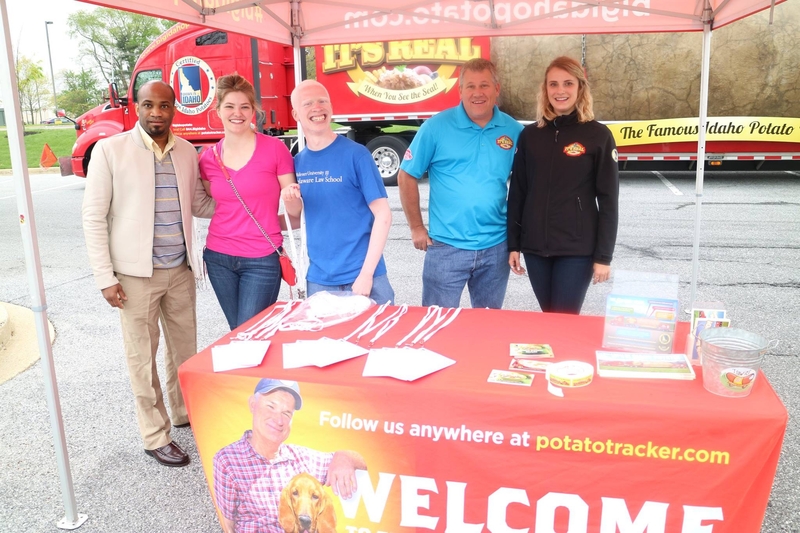 The Tater Team with BBF volunteers! Later that day, we headed over to Wilmington for the Beau Biden Foundation Fundraiser at the Shoprite in town. The foundation is in memory of Beau Biden, son of former vice-president Joe Biden, and is dedicated to protecting children. We learned how much of an amazing person he was, and how he dedicated his life to serving others. We had a signature board there as well, in addition to their station where visitors could make lost child I.D.’s. We had a fabulous time and it was a great turnout! After a fun-filled day, we headed to the big apple that evening for a day off! 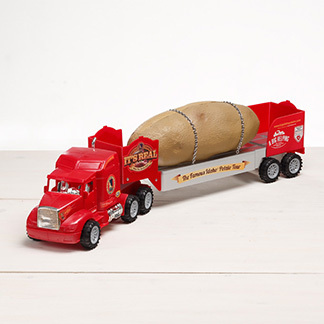 We had an amazing time in New York, and even brought Spuddy Buddy along for the ride. 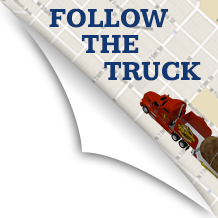 Check out our upcoming video called “Little Spud, Big Apple” to see all of the adventures! 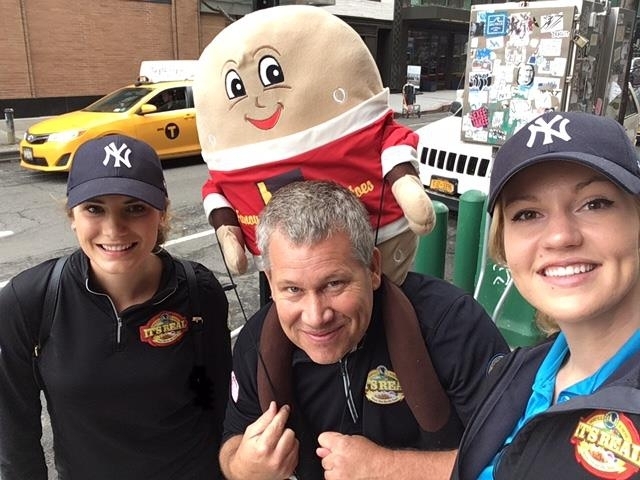 Spuddy Buddy and the Tater Team being tourists in the Big Apple. 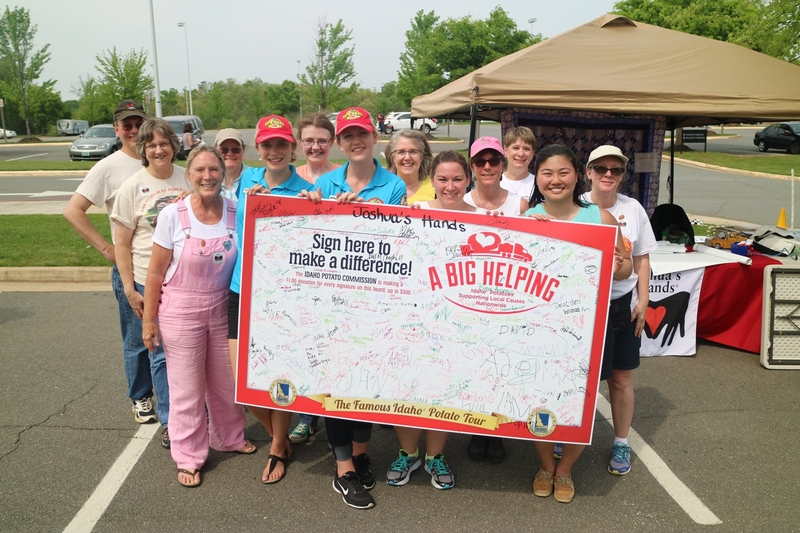 After a crazy time in the city that never sleeps, our next stop was Sterling, Virginia for Virginia’s Touch-A-Truck event. This event was a fundraiser for a non-profit called Joshua’s Hands. It was created in memory of Joshua Guthrie who passed away in a car accident at the age of 16. This young man dedicated his life and hands to service. As a legacy, the non-profit encourages community service as well as provides education and scholarships. Varying from topics like teen driving and organ donation, they seem to do it all! It is run by his mother and local volunteers from the community. At the event, there were vehicles of every shape, size, and time period- ranging from firetrucks and police cars to old vintage cars. 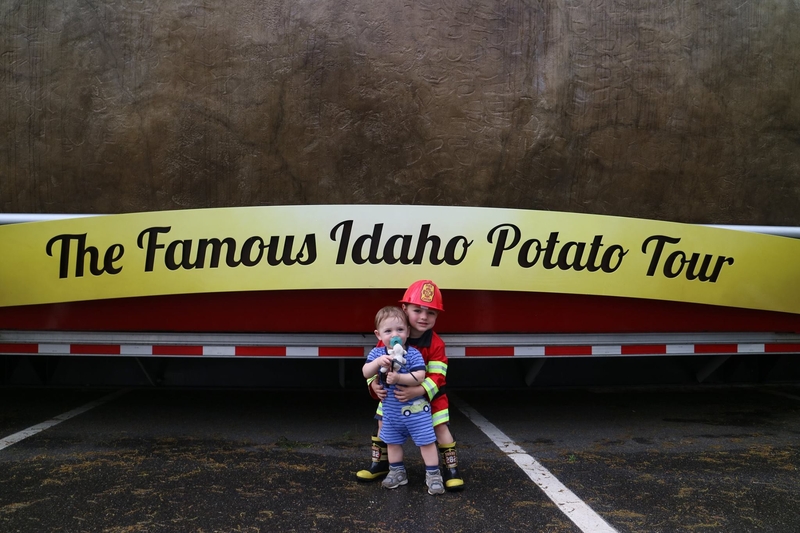 It drew in many families from all over and the Big Idaho Potato was a big hit! We even gave tours of the inside of the cab, and the children had a blast pulling the horn (even some parents enjoyed it too). Our signature board was also a great turnout, and it was funny to see almost all of the signatures were from the little kids! After a great event, we headed to Washington D.C. for another day off to explore our nation’s capital! It was an amazing week full of giving and exploring! Until next time tater nation!